Laura Coe Wright is the Founder and Design Director of Creative and Brand Strategy at COE Design. COE Design, has built a national reputation of growing companies brand awareness through strong creative design strategy and execution. They are a multi-discipline design firm which offers a strategic, integrated approach of graphic design and structural design as a brand strategy resource for clients across all touch-points. 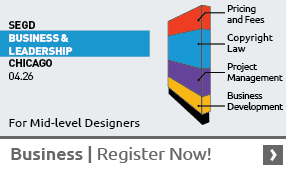 They are your brand ambassadors who will guide and lead your team in design excellence. CG Signage is an architectural sign fabricator and contractor in Santa Ana, California. We provide turn-key sign fabrication, installation, and project management services to General Contractors, Developers, Commercial Property Managers, Apartment Communities, Small Businesses, Designers, and More. We fabricate everything on-site at our Santa Ana facility, providing all the services needed to bring the designer’s vision to fruition. Hwanghah Jeong is currently working towards her Bachelor of Fine Art in User Experience Design and will graduate from the Savannah College of Art and Design this November. She will then join Airbnb as an Experience Designer in December. Hwanghah Jeong has already earned a Bachelor of Arts in Graphic Design from SCAD. Jeong also was extremely involved in SCAD activities by volunteering for several events and organizations. Hwanghah Jeong was a volunteer for the International Student Orientation, SCAD Student Ambassador, SCAD Day, ATV Festival, and Hometown Hero.